This new edition of A.H.W. 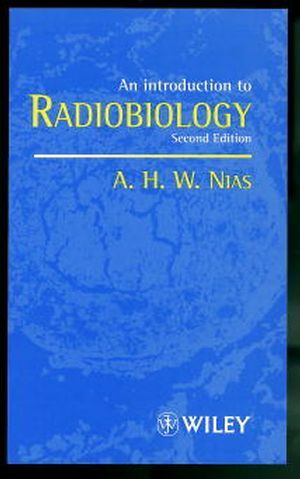 Nias' successful book provides an updated and revised introduction to quantitative radiobiology, particularly, to those aspects of the subject which have a practical application. Radiation is used to cure cancer but can also cause it. Radiation is also used in medical diagnosis and in nuclear power stations. In these areas, where questions of benefit and detriment arise, the biological effects of the radiation can now be predicted. There are few aspects of life where risk estimates are so firmly founded on quantitative data. This is not only because of the precision with which radiation dose can be measured but also because of the large body of radiobiological observations which have been made since X-rays were discovered. Written by a scientist with many years experience in the field, An Introduction to Radiobiology will appeal to a wide variety of readers who need to understand the mechanisms by which ionizing radiation causes cellular damage. It will be of interest to technologists in radiation therapy, nuclear medicine and diagnostic radiography, cancer research students and technicians, medical physicists, trainee radiotherapists and nuclear medicine specialists. A. H. W. Nias, formerly Emeritus Richard Dimbleby Professor of Cancer Research, United Medical and Dental Schools, University of London, St. Thomas' Hospital, London, UK.